Our bus ride from Gothenburg to Copenhagen was insanely easy, except that the driver (reasonably) wouldn’t allow us to bring the rest of our kebab pizza on board. 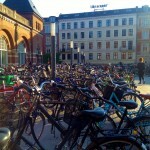 The wifi was fast and a mere 4 hours later we arrived near the central train station in Copenhagen. 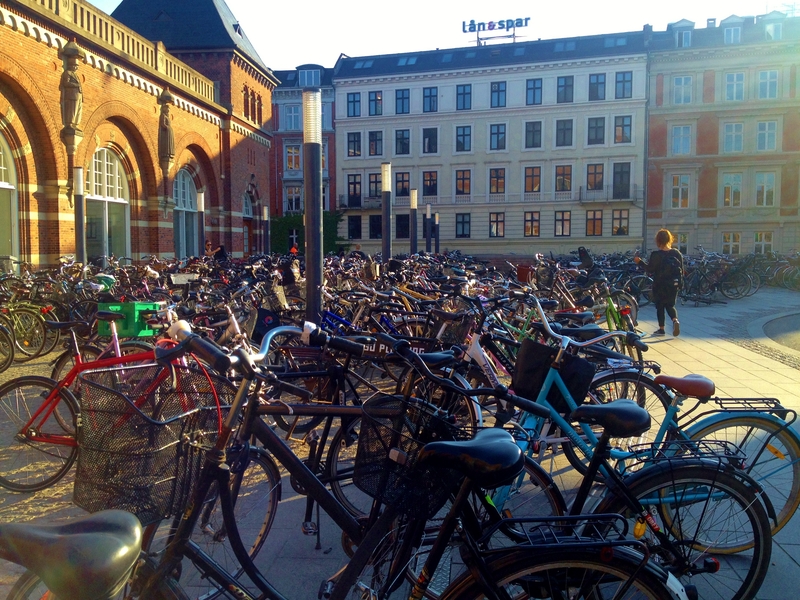 The first thing we noticed was the rows upon rows of bicycles parked there; we knew Copenhagen was biker friendly but we soon learned it was the primary means of transportation around the city. EU Parliament election day. Good to see so many people out voting. Our friend Claus, who we met in Malaysia and graciously offered to put us up, was just returning from a vacation of his own. 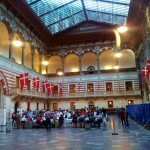 So, we did a brief exploration on foot of the area around, including the city hall of Copenhagen. 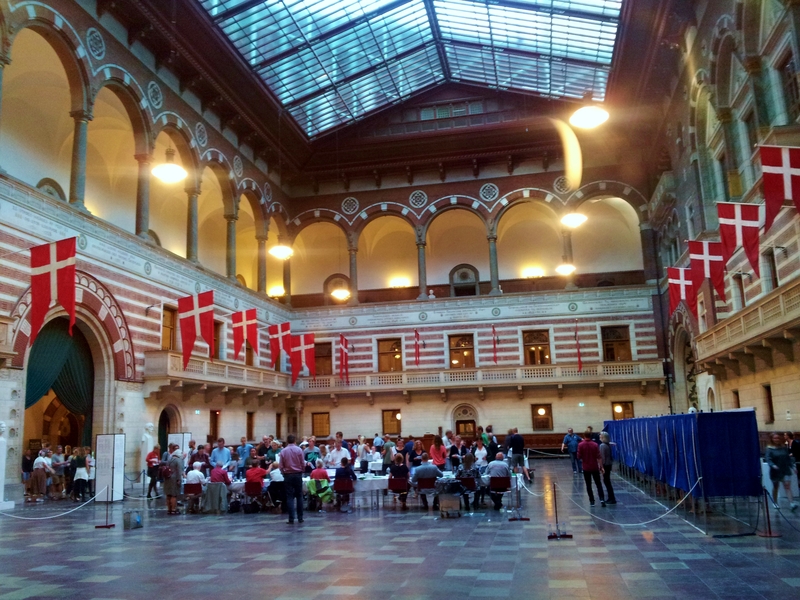 We noticed a lot of people milling about and realized that EU Parliament elections were going on; it was cool to see so many people out and voting. We also got a glimpse of one of the oldest amusement parks in the world, Tivoli, although we didn’t go since we just went to Liseberg in Gothenburg. Eventually we made our way by bus to Claus’ house; we were shocked that the bus cost almost $5/person! I think this explains why so many people walk and ride bikes. Not a bad place to spend your day! The next morning we set on foot for some sightseeing around town until Claus returned home from work. 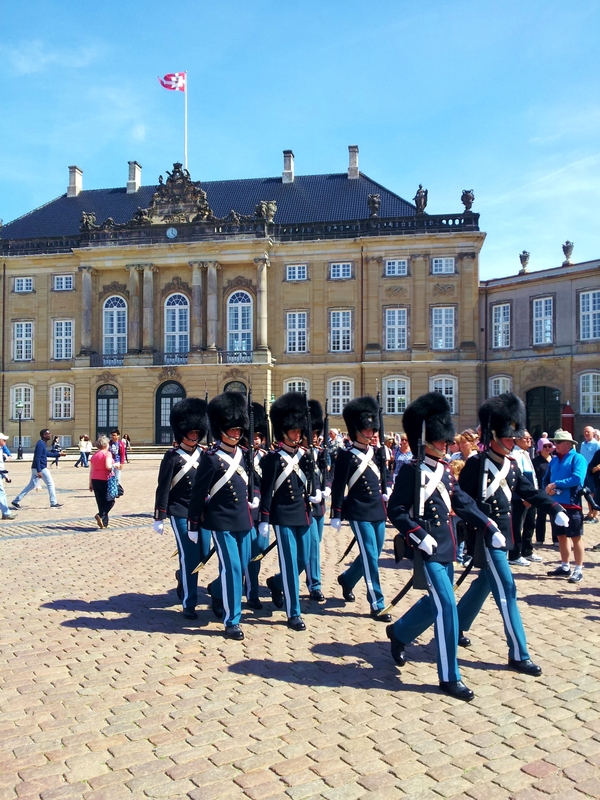 His place is only about 45 minutes from the city center, so we enjoyed our stroll, passing some nice sites such as the grave of Hans Christian Anderson and a cool castle (more like a manor, really) where the equivalent of the London bobbies train and live. Our final destination was taking a canal tour, which was pretty nice (especially to get off our feet for an hour, since we’d already walked 4 miles). We saw the opera house, the royal yacht, several nice residential areas in the city, and amazing architecture the whole way. Eventually we made our way home on foot and dropped by the beautiful parliament building and took in some nice panoramic views from the Round Tower. 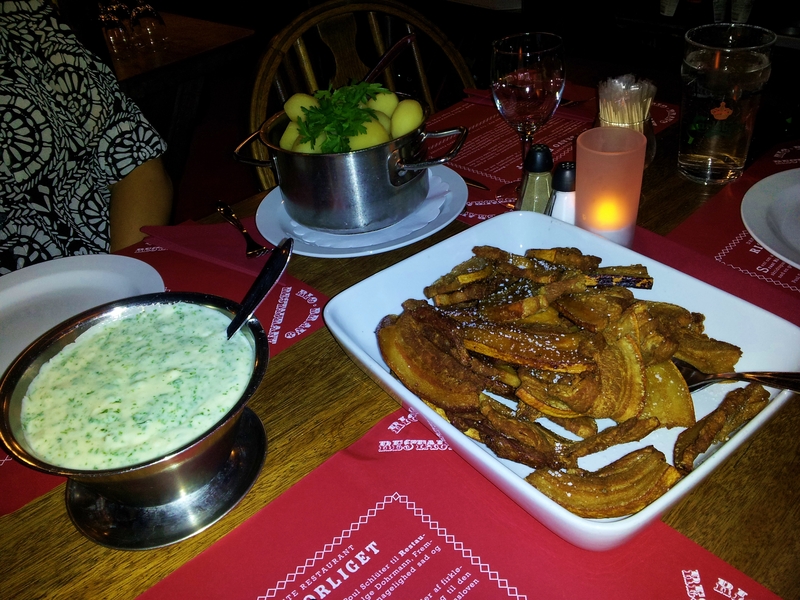 Once Claus got home, we told him we wanted to grab some traditional Danish food. He helped us procure two bikes to use for the night and the next day (our feet were throbbing after walking around 9 miles), and we started the ride into the city. Biking in Copenhagen is world-class; there are not only dedicated bike lanes on every street, but in some places there are even dedicated bike traffic signals! Most people that rode there were very respectful and knew the “right” way to bike, although oddly enough, hardly anyone wore a helmet. 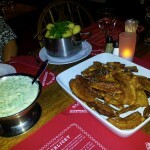 The place Claus took us served what we considered the Danish equivalent of country ham and gravy called stegt flæsk. It was very thick cut pork (probably pork shoulder) served with a buttery, creamy gravy, with some boiled potatoes on the side (although Claus said to avoid too many of those, otherwise you won’t get your money’s worth on the meat). It was really good, but I’m happy we took a nice long bike trip home to burn off all those calories (even though we stopped at a pub along the way)! Our second day we set out on our bikes, so we covered a lot more ground. 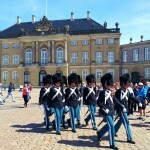 We first went to the Danish changing of the guard, which was a much less theatrical version of the English equivalent. We also biked around an old castle before going to Christiana. Christiana is a sort of break-away neighborhood of Copenhagen where marijuana is legal and a lot of hippie artists call home. You weren’t allowed to take pictures there, but it was basically a bunch of tents with green camo, and inside you could buy pot and smoke it. There were also a lot of little cafes and shops where you could buy all kinds of drug paraphernalia, along with some interesting art. Great to see you again, Claus! Thanks for everything! 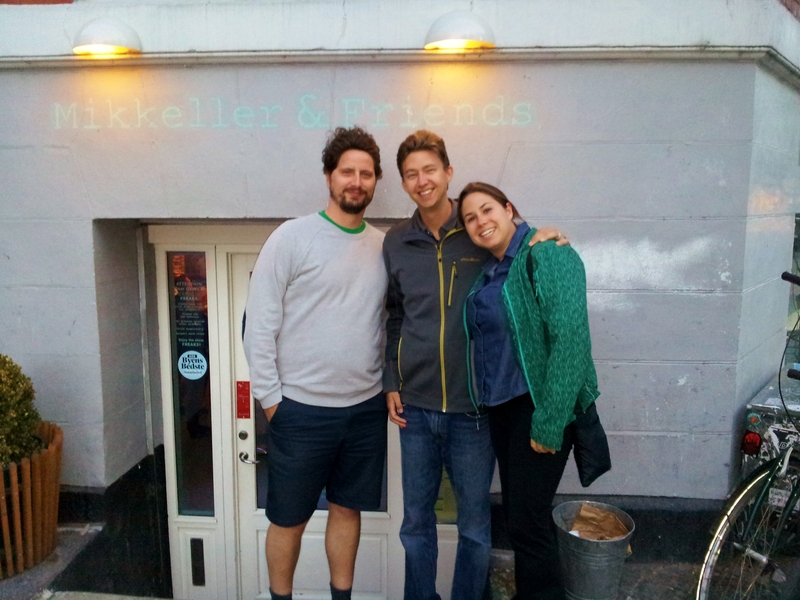 That night we met up with Claus again and he took us to get some kebabs and then we rode down to Mikkeller, which is a “phantom brewer” from Copenhagen. They make up beer recipes, but other breweries do the actual brewing. As a result, they have over 60 kinds of beer, and we got to try some good offerings. The next morning we had to rise early for the airport, which was pretty easy to get to, involving a bus ride and then the metro. The people of Copenhagen were incredibly helpful in getting us from point A to point B, and overall we were very impressed with the city, the people, and the beer. 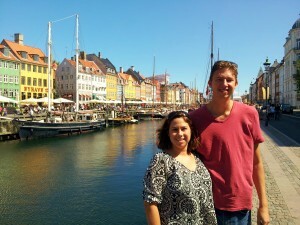 Copenhagen will definitely be on our list of places to return to when we’re old and rich.